We confront toxins in almost everything nowadays: in polluted air, in unfiltered water, and in processed food. 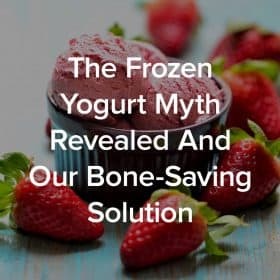 Savers know that acidifying chemicals throw off the pH balance which, in turn, causes the body to leach calcium and other alkalizing minerals from the bones. Those chemicals don’t only enter your body through your digestive and respiratory system though. Every product you apply to your body — from your hair to your toenails — has an impact on your health. Today we’ll show you nine ways to replace toxic beauty products using one amazingly versatile fruit: the lemon. Lemons are an alkalizing Foundation Food and a fruit that every Saver should have as a kitchen staple. From a squeeze into a glass of drinking water to a flavorful ingredient in bone-healthy dishes, lemon has a wide range of culinary uses. It wasn’t until around the year 1000 that Asian and Middle Eastern cultures started to unlock the nutritional power of this fruit – before that they grew it as an ornamental tree. During the Crusades, Europeans brought lemon trees back to their home countries, and soon lemons were a staple of Mediterranean cuisine. Immunity – Lemon’s Vitamin C stimulates the production of white blood cells and helps protect the leukocytes that fight viruses and other foreign bodies. Antioxidant – Lemons are a powerful antioxidant, protecting your bones as well as the rest of your body from destructive free radicals. 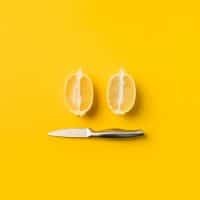 For more than a thousand years, humans have been reaping the rewards offered by the lemon- not just its tart sweetness and tangy bite, but its wide-ranging health benefits. Lemon is powerful not only for what it does but also for what it can replace. Flavoring your water with a squeeze of lemon, instead of artificial flavors, high fructose corn syrup and other chemical additives found in sodas, not only offers benefits, it avoids hazards. While Savers know that drinking sugary sodas like cola (or even diet-colas!) is a bad idea, it’s less obvious that something like a skin product could be adding toxins to the body. So instead of burdening your liver with beauty products that contain synthetic chemicals, try these all-natural DIY lemon-based alternatives. Mix a little cooking oil with lemon juice and soak your nails in it to build their strength, resilience, and shine. You might find you don’t need to apply those chemical nail polishes after all. Combine lemon juice and coconut water for a DIY serum that will leave your skin hydrated, clear and bright. The highly elastic skin at our elbows and knees gets an intense workout every day. If you find your skin in those areas to be dull or darkened, you can lighten them by rubbing with a half a lemon. No need for chemical skin bleaches! If dead and dried skin is plaguing your lips, pucker up and apply a little lemon juice before bedtime. Come morning, wash it off and that old skin will go with it. If your lips are cracked or at all split from chapping, wait until you’ve healed to try this trick. A lemon is a great tool for reducing excess skin oil. Mix two parts lemon juice to one part distilled water and apply to your skin with a cotton ball. 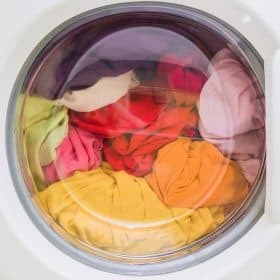 Leave it on for about ten minutes then wash it off with warm water. Skip the expensive face wipes laced with toxic chemicals. Instead, mix a few drops of lemon and tea tree essential oil in a few ounces of distilled water, then apply with cotton pads. The citric acid in lemons will brighten your skin when used over time. It can help lighten age spots, dark spots, or an uneven tan. Be aware that lemon juice can make your skin more sensitive to UV rays, so keep an eye on your sun exposure to avoid getting burned faster than usual. A few drops of lemon essential oil applied directly to the canker sore will help it to heal faster. These nine uses of lemon equate to nine fewer toxic beauty products in your bathroom cabinet. With each substitution, you can give your body the chance to reduce the toxin load, which makes it easier to stay healthy and strong, inside and out. 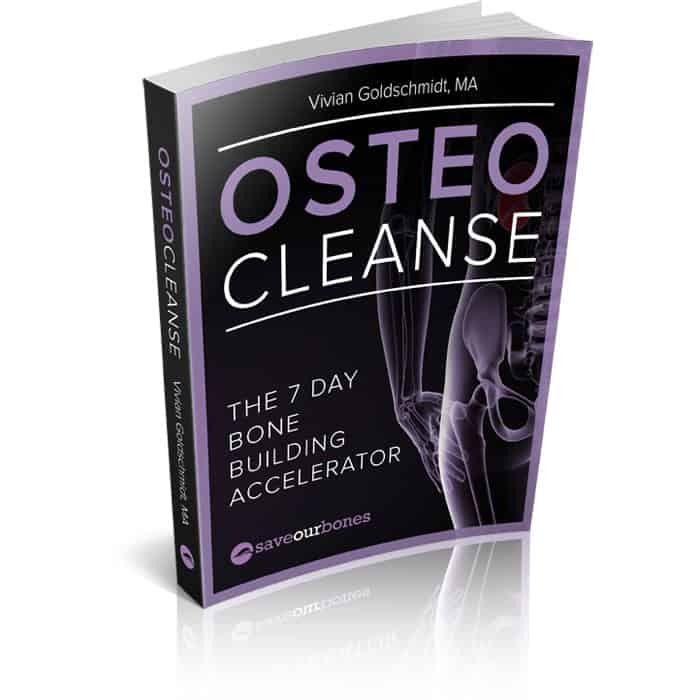 Providing your natural filtration system (liver and kidneys) with a break from the grind of daily environmental toxins is one of the goals of OsteoCleanse™, the Save Institute’s seven-day detox program for getting your body on the fast track to stronger bones. Living the life that is best for your bones and your overall health happens one step at a time. 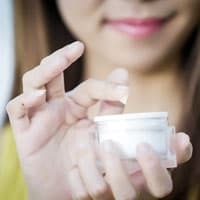 Pick a couple of beauty product replacements from today’s article, and take a step down the path toward stronger bones and a fuller, more confident life. I also would like to know if limes and lime juice are alkalizing like lemons. Will lime juice work just as well? I couldn’t disagree more with the ninth suggestion. I have suffered from canker sores all of my life and their strongest trigger is citrus fruit, especially lemon. Just a few drops of lemon juice in a glass of water and I guarantee I will have a painful canker sore within two days! Hi Lou! I hope you an read this. I suffered nearly all my life from canker sores. I no longer have them since I eat 2 ounces each day of saourkraut that I make myself. Super easy to make. If you have access to local organic cabbage and carrots. I shred 2 1/2 kg cabbage, 1/2 kg carrots, add 60 grams of salt. Then mix it by hand about 10 minutes, squeezing. Juice will come out. Then I put this in a glass container pressing to have juice coming on top of the shreeded cabbaga and carrots. I cover the top completely with saved whole cabbage leaves, put a saucer and weight as needed to keep always the juice above the cabbage. Cover ecerything with cheese cloth. In 5 days it should be ready to transfer to the fridge. It will be good for three weeks. If you have no access to local organic cabbage, I add 3 capsules of a good quality probiotics. (I use Mercola.com). I would also like to know if lemon juice would work just as well. thank you vivian.